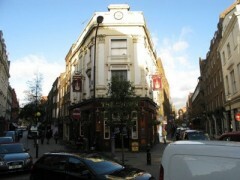 About: The Crown is a traditional English pub that serves a selection of wines, beers and spirits. Bar food is also available and catering for vegetarians is provided. They also have a Happy Hour. Private parties of up to 25 people are available upon request.